One day Jeff was walking his dog. The dog’s name was Butch. On his way home Jeff realised that a branch of an old oak tree looked fake. He climbed the tree and pulled the branch. Afterwards, as he fell he realised that a door had opened revealing a hidden portal. He went into the portal. When he and his dog went in, the portal shut with a beeping noise. He was wearing an ocean blue hoodie and the dog was wearing glasses. There was one problem – How would they get back home? Well done Szymon. I really liked your story this week. It was creative and imaginative. I thought it was a great use of the prompt and your story stood out for this reason. I like the idea of hidden portals. It would be great to think that they really exist. I’m keeping my eye out for fake branches! 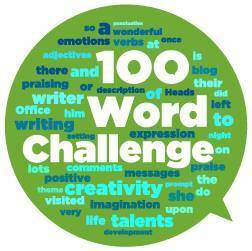 Thank you for sharing your 100WC with us this week, I liked your idea of writing a fantasy story. I also think ending your story with a question is a great way to make your readers want to know more. HI Szymon. It really was a problem for Jeff and his poor sighted companion! I really hope they were able to get back home without any damage being done in the Portal. At least they had each other for company! I liked the way you wrote your cliffhanger, it was very good. I enjoyed reading your story, Syzmon! It is just chock full of imaginative events. Keep on writing!